Are you a member of the media? Just want to download the ads / videos and browse them on your own? Great! Download the full Zip file here! 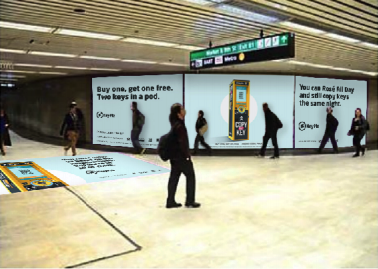 This week, KeyMe is launching an immersive, bi-coastal ad campaign across New York and San Francisco. 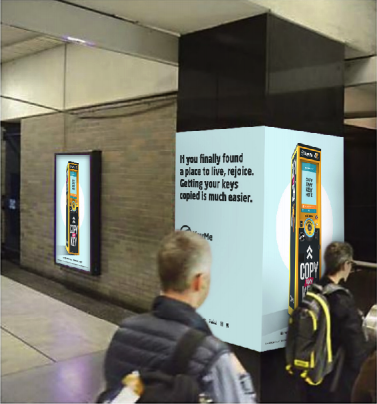 We are so excited to unveil our latest creative direction and, while the purpose of this campaign is to let people know they can find our key duplication kiosks right around the corner, we thought we’d give our current blog readers (that’s you!) a first-look. These are just going live today, so check them out! 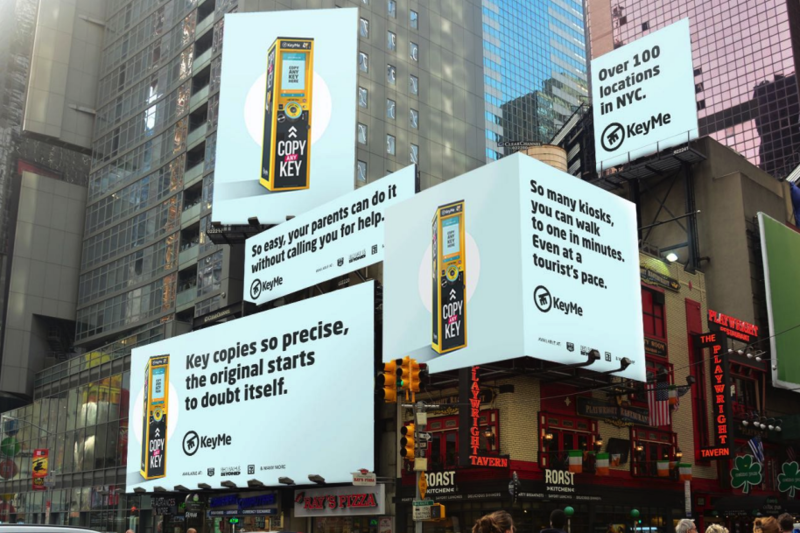 KeyMe is coming to New York’s most famous destination, Times Square, with these billboards at 49th & 7th. If you see them, snap a photo and tweet it @KeyMe! 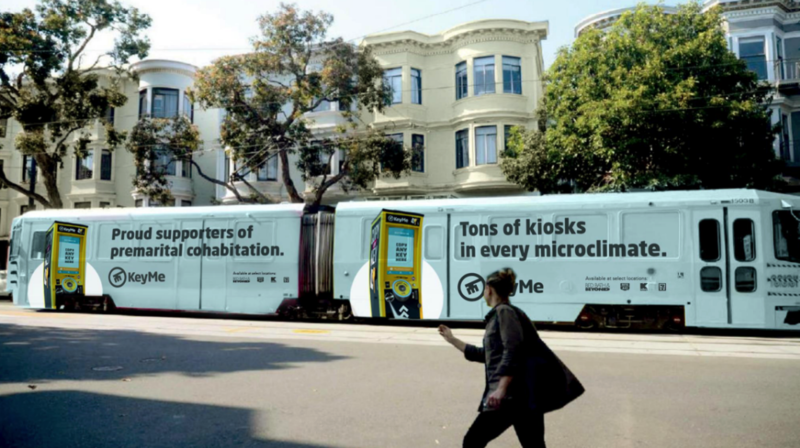 Look out for KeyMe on your commute! 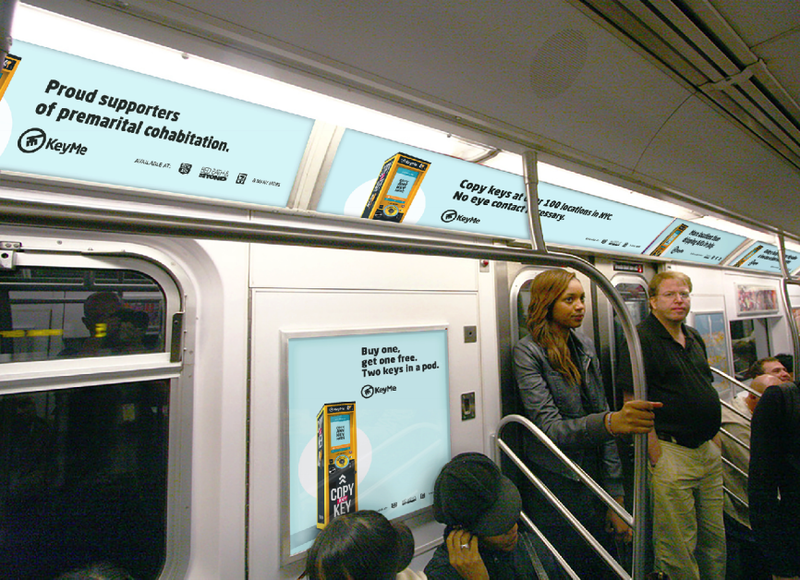 KeyMe will be appearing on 570 subway cars in June, making up 11% of the total NYC subway system. 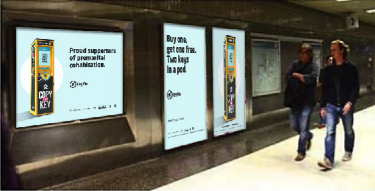 We are excited for you to check out our latest key duplication ads for our locksmith in a box on your commute. 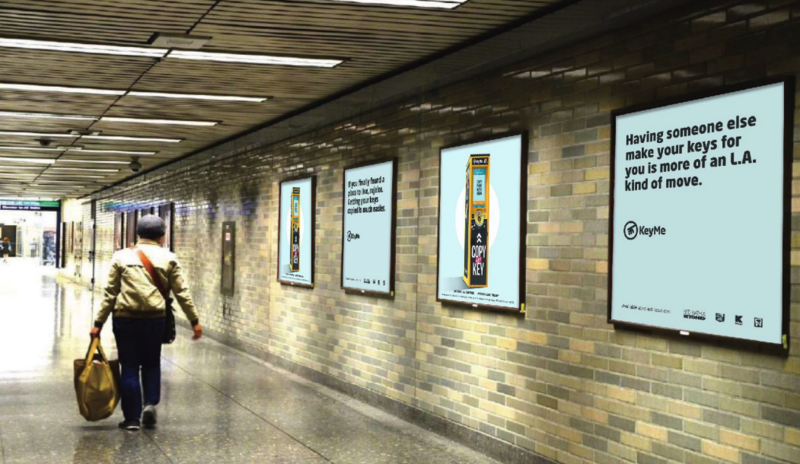 Don’t forget to send us your photos of these ads when you come upon them. Check out these cool train wraps all across San Francisco through June. 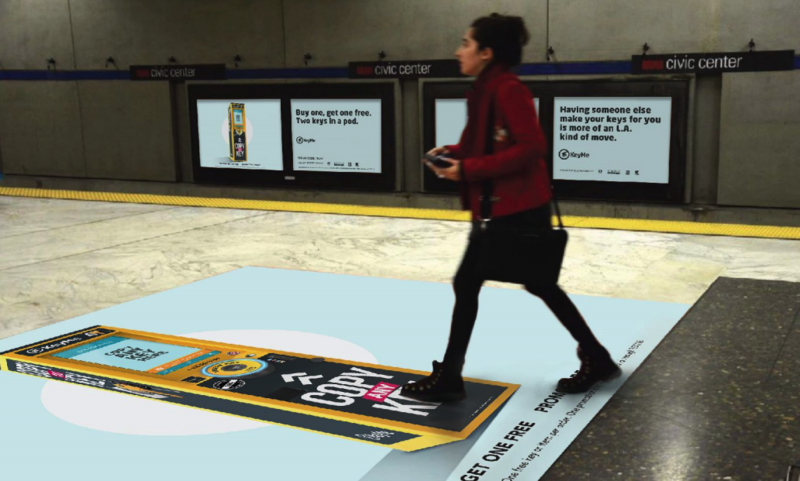 These big, bold ads will appear throughout the tunnels of the Church Street BART station. Check them out! 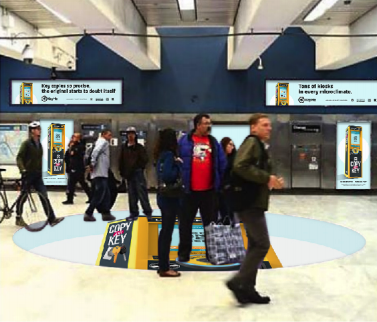 We are very excited to be displaying across the bustling Civic Center BART station this June. 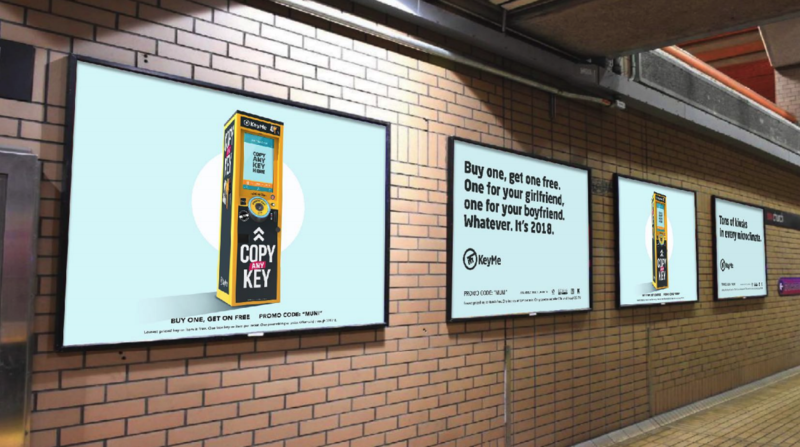 Look for these many iterations of KeyMe creative along your commute! Check out this 15-second video intro that we’ll be sharing with our newest customers. And here’s the 30-second version. Enjoy! 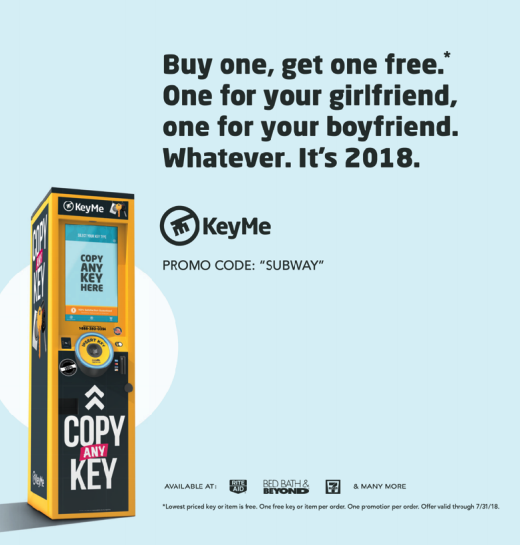 So if you live in New York or San Francisco, be on the lookout for these exciting KeyMe billboards, brand-trains, transit takeovers and videos today!